On the four-hour chart Tenkan-sen line is below Kijun-sen and they are both horizontal. Chinkou Span line is below the price chart; current cloud is descending. The pair has been corrected above Tenkan-sen line once again, but couldn’t overcome Kijun-sen line and dropped under the red line. 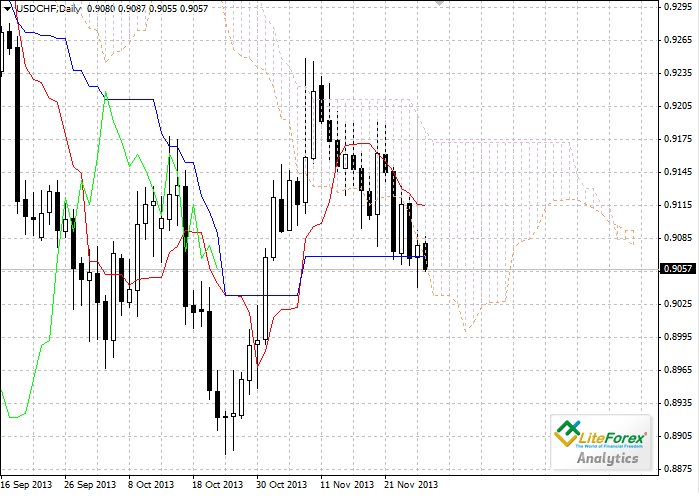 The closest resistance level is Tenkan-sen line at 0.9066. 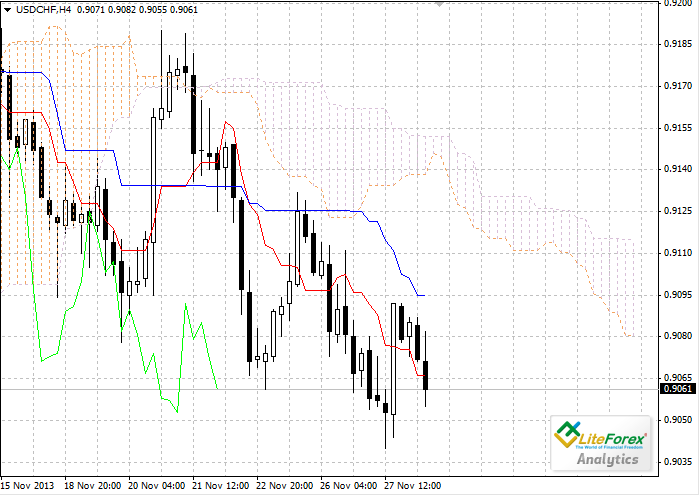 The pair will meet a support at the level of 0.8995 (previous low of Chinkou Span line). Let’s look at the daily chart. Tenkan-sen line is above Kijun-sen, they are both horizontal. Chinkou Span line is above the price chart; current cloud has reversed from descending to ascending. The pair weren’t able to consolidate above the cloud has been following the lower border of the cloud for two weeks. One of the previous minimums of Chinkou Span line (0.8920) is the closest support level. Flat part of the Kijun-sen line is a strong resistance level at 0.9069. On the four-hour chart the price has dropped under the red line, further fall to the level of 0.8995 is possible. According to the daily chart analysis short positions should be opened if the pair breaks through the cloud; it means new candlestick opens and closes below the cloud.